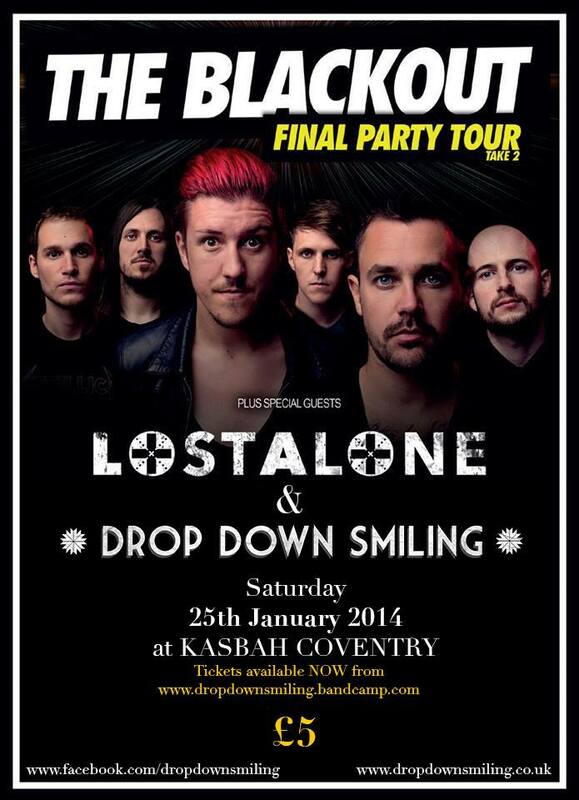 We are seriously stoked to announce that we will be providing support to the mighty “The Blackout” and “Lost Alone” Saturday January 25th at The Kasbah, Coventry. The Blackout have become one of the biggest rock bands in the UK, from supporting the likes of My Chemical Romance and Linkin Park to co-headlining the Kerrang! Tour. Off the back of releasing their fourth album ‘Start The Party’ this year, they played main stage at Reading and Leeds festival! This is a special show for us and one of the biggest shows we will been honoured to be a part of. We would love you to be a part of it with us too.